With this last wave of crackdown against lawyers, number of lawyers under criminal prosecution raised to 1343; 538 of them have been arrested. Like the 524 lawyers previously arrested, the 14 most recently arrested lawyers were persecuted because they made the defense profession honestly and with full integrity; so indeed in the interrogation conducted by prosecutors, “to remind the right to keep silent, to visit the client in prison” were introduced as a crime against the 18 lawyers. Between 11th and 17th of September, 22 lawyers were taken into custody in Ankara, Istanbul, Diyarbakir and Antalya within scope of 3 separate police operation. 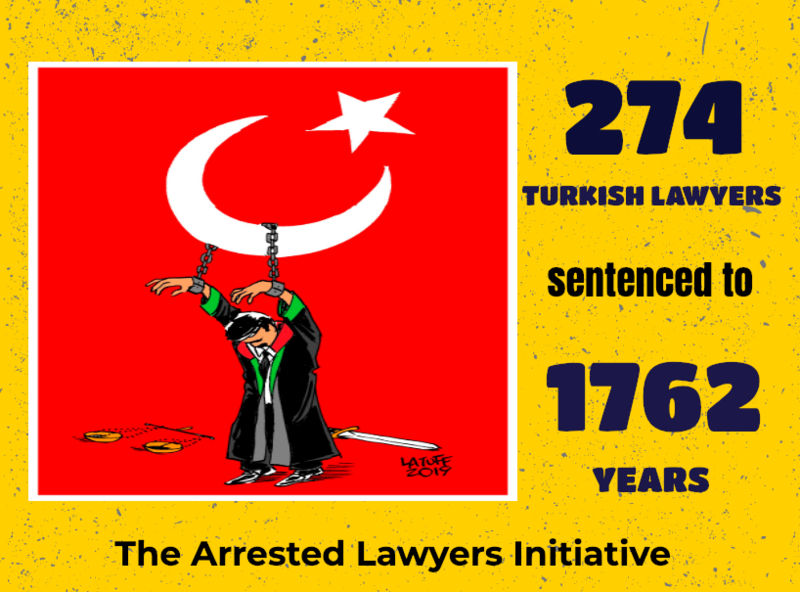 As of 17th September 2017, 524 lawyers have been arrested (since 15th July 2016) and 1347 lawyers are under prosecution.